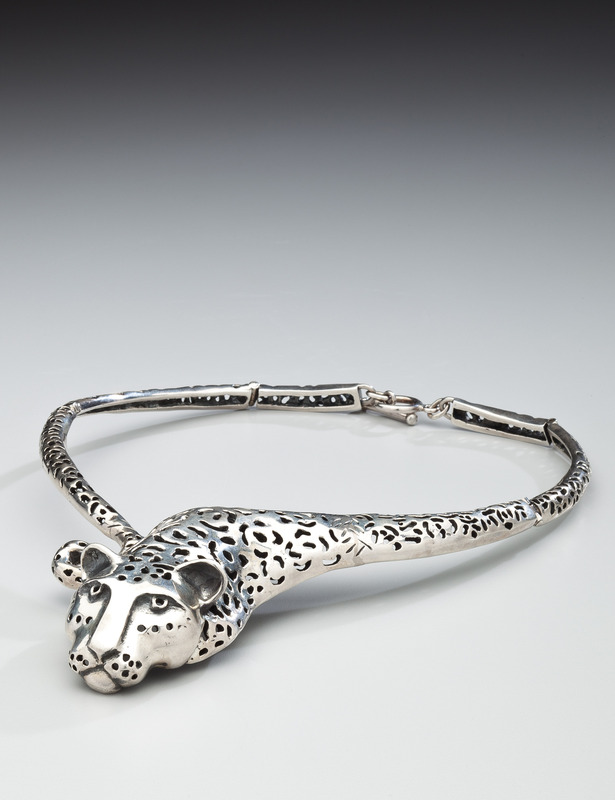 A sterling silver necklace that culminates in a fantastic jaguar head by Emilia Castillo. The necklace is made in segments with each segment pierced to simulate a jaguar's spots. The underside is oxidized to highlight further the jaguar's lifelike spots. The necklace has a toggle clasp for extra security. Marked "Emilia Castillo Mexico 950 sterling TO-85." Weight is 6.19 troy ounces.